When will be Chouriki Sentai Ohranger next episode air date? Is Chouriki Sentai Ohranger renewed or cancelled? Where to countdown Chouriki Sentai Ohranger air dates? Is Chouriki Sentai Ohranger worth watching? 600 years ago, mankind created a rebel robot named Bacchus Wrath; Riki/King Ranger later banished him. In 1999, the machines of Baranoia wanted to wipe out humans and bring in machine rule. Counselor Miura brought like energies that were given by the lost Civilization on the continent Pangaea almost 600 million years ago, he used it to put together the stone plane discovered, and its secrets became known. The OhRangers base was setup in Japan’s Southern Alps, where the power was found. 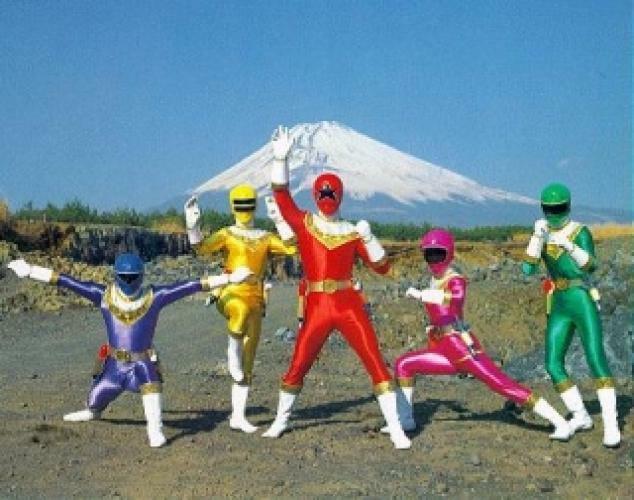 Miura constructed a great pyramid that generated Tetrahedron power; this power let five UA officers change into the defenders of earth the Ohrangers. Lead by legendary Riki/King Ranger they vow to protect earth. EpisoDate.com is your TV show guide to Countdown Chouriki Sentai Ohranger Episode Air Dates and to stay in touch with Chouriki Sentai Ohranger next episode Air Date and your others favorite TV Shows. Add the shows you like to a "Watchlist" and let the site take it from there.